This weekend is very crowded at the box office, and outside of Warcraft, it is very sequel heavy. Teenage Mutant Ninja Turtles: Out of the Shadows is entering its second turn at the box office, James Wan will probably win with The Conjuring 2, and then there is the sequel nobody asked for, Now You See Me: The Second Act. Not only does the sequel feel very unnecessary, but the title is pretty predictable. Well, thanks to a brilliant writer on Twitter, we now have a lot of great alternate titles for it. 27 to be exact. Writer Fran Hoepfner recently took to her Twitter account to inform us all that she has been brainstorming better titles for the Now You See Me sequel for a few months. Though it may have started as a pet project for her, she waited for the film's opening weekend to share her ideas with the world. To put it simply, she totally nailed it. "For the past few months I have been writing alternate titles for Now You See Me 2 and now I'm going to post all of them. Thanks." Hoepfner kept herself busy for the last few months, or at least for several minutes here or there over the first part of the year, because she unleashed this massive stream of alternate titles for Now You See Me 2 on Friday. All in all, she shared 27 tweets ranging from two word simplicity to something that would barely fit on a movie poster. All of them are pretty great. Titles like "Seen 2" and "Oops You Saw Me Again" encapsulated her thoughts, and perhaps most of our thoughts, about just how ridiculous this movie actually is. Now You See Me 2 is faring decently enough at the box office so far. It is on pace to take third place for the weekend behind The Conjuring 2 and Warcraft with somewhere around $22 million. That puts it reasonably well below the opening weekend for the original Now You See Me, which brought in $29.4 million on its first frame of release, and went on to gross $351.7 million worldwide on a $75 million budget, which represented a pretty decent return for Lionsgate, though it didn't exactly feel like a franchise film. 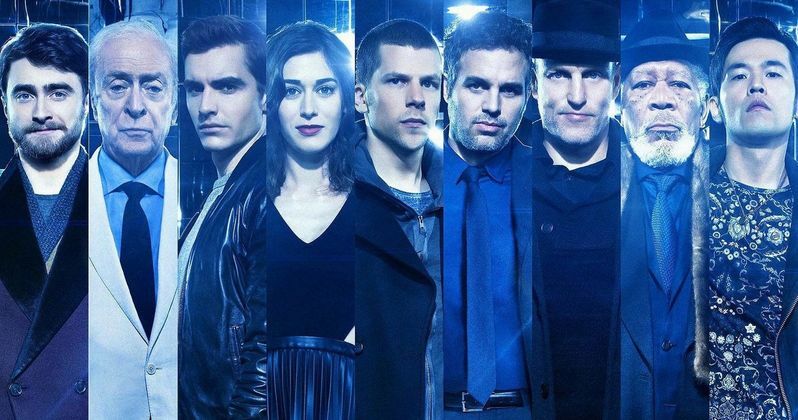 Now You See Me 2 currently sits at a 37 percent critic score on Rotten Tomatoes, but seems to be fairing much better with fans, which seems to echo what happened with the first film. Though, critics didn't hate the original quite as much. The sequel added some star power with Daniel Radcliffe and Lizzy Caplan, but Isla Fisher didn't return. Lionsgate seems to have faith in the franchise potential, as it was announced in April that the studio was already planning a third installment with Jon Chu coming back to direct. If nothing else, hopefully we will get some more alternate titles for Now You See Me 3 from Fran Hoepfner. Be sure to check out all 27 of her tweets below. Okay that's it. I think they picked the worst possible title for this movie. Thanks.